Pipe Dreams: Is Poland's 'Baltic Pipe' a Threat to Nord Stream 2? In the past week, gas, pipelines and energy security again became major topics of discussion in Poland. 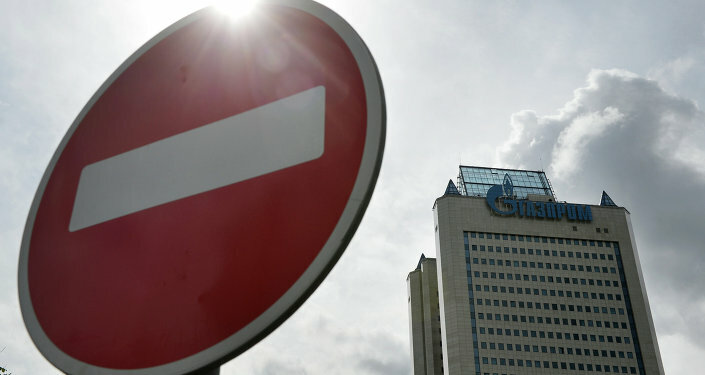 Once again, Warsaw declared that Nord Stream II is 'politically motivated', stated that it may sue Gazprom over pricing, and announced that it may move ahead with a northern alternative to Russian gas - via the so-called 'Baltic Pipe' project. At a joint press conference with her Norwegian counterpart in Oslo on Tuesday, Polish Prime Minister Beata Szydlo intrigued reporters, saying that "the Polish government will do everything to ensure a good climate and the right conditions to complete the construction of a gas pipeline from the North Sea to Poland." "Poland, like any other state, and the Polish government, like the government of any other state, must ensure the safety of its citizens and the state. In our view, the diversification of energy supplies, including a joint project with Norway, will contribute to raising our energy security," she added. In the course of her visit to Oslo, the prime minister expressed hopes for the possible revival of the so-called 'Baltic Pipe' project, which has been kicked around in negotiations between Poland and Denmark for 15 years now. To date, the proposed Baltic Pipe has been plagued by economic feasibility issues, the suspension of the Skanled offshore pipeline project connecting Norway to Sweden and Denmark, and the lack of demand for Norwegian energy supplies. Meanwhile, commenting on the proposed Nord Stream II project, set to connect Russian and German gas networks via the Baltic Sea, bypassing Poland, Szydlo again suggested that the project was "politically motivated," telling a Russian reporter that it "cannot be justified on economic grounds." So far, Berlin has brushed off criticism from Poland, the Baltic countries and Brussels over the project, saying that the decision on whether or not to proceed belongs to the German, Western European and Russian companies involved. Commenting on the prime minister's remarks, Piotr Naimski, the undersecretary of state of the Polish chancellery charged with strategic energy infrastructure, noted that in 2022, the contract between Polish energy company PGNiG and Russian energy giant Gazprom for the supply of 10.2 billion cubic meters of gas per year will expire, and that a pipeline connecting Poland to the Norwegian shelf is an "obvious goal." "In 2022, the contract with Gazprom will expire. This is a moment toward which we will be looking to diversify [gas] supplies," Naimski explained. At the moment, Russia supplies about 10.2 billion cubic meters to Poland, covering over 60% of Poland's 16 billion cubic meters-worth of consumption. For her part, responding to Szydlo's comments, Norwegian Prime Minister Erna Solberg noted that "discussing common commercial interests is certainly exciting, as is the possibility of joint gas projects. However, in Norway, such decisions are not taken at the political level. This issue should be dealt with by commercial stakeholders, as was the case with the construction of the LNG terminal in Lithuania, where talks were held with Norwegian companies." Over the past two years, Poland has attempted to take measures to reduce its dependence on Russian energy supplies, opening an LNG terminal in the northwestern city of Swinoujscie last year. However, as critics soon discovered, the Qatari gas to be supplied to Poland via its Swinoujscie terminal will be significantly more expensive than Russian supplies, and Warsaw may end up canceling the contract. Commenting on Warsaw's plans for obtaining gas from the north, Sergei Pravosudov, the director of the Moscow-based National Energy Institute, told Russian newspaper Svobodnaya Pressa that effectively, Poland already has the opportunity to buy gas from Norway. "The fact is that the Poles already have the opportunity to buy Norwegian gas, and they do. Poland buys gas from Germany, and the Germans, in turn, buy it from both Russia and Norway. Actually, the Germans send the Poles whatever supplies they have in stock, whether it is Russian or Norwegian." For this reason, Pravosudov suggests, the statements coming out of Warsaw are politically motivated. "The Poles do not have the money to build this [northern] pipeline, nor the real need to do so." 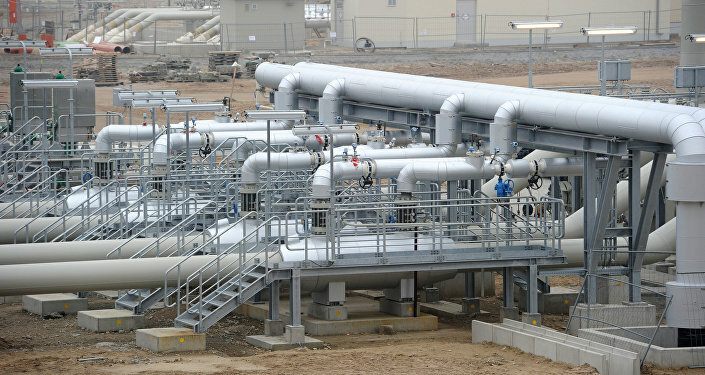 "Ultimately, the story of the LNG terminal at Swinoujscie has already demonstrated the highly eccentric nature of Polish authorities in the energy sector. The terminal is completed, but sits empty, because the gas the Poles contracted in Qatar is fabulously expensive at the moment." "Right now," the analyst recalled, "Warsaw already pays Qatar a penalty fee not to buy the gas, and is already in talks on renegotiating the terms of the contract or canceling it altogether. At the same time, the Polish government publically says that this is a very good terminal, and promises to build a pipe to Ukraine, so that Kiev may receive its share of the [nonexistent] 'bounty' of LPG gas." Even if the northern pipeline is built, Pravosudov explains, the only end result will be for less Norwegian gas headed to Poland via Germany, and more Russian gas headed to Germany via the Baltic Sea. In any case, the analyst says, "production in the North Sea is costly, and current prices for oil and gas will not allow the Norwegians to develop new fields. In my opinion, we cannot expect growth in Norwegian gas output any time in the near future." For his part, Alexander Pasechnik, the head of the analytical department of the National Energy Security Foundation, agrees with his counterpart that the 'northern route' is a political sideshow. "By announcing the construction of a gas pipeline to Norway, Poland is trying to get an additional discount out of Gazprom," the analyst suggested, adding that at $180 per thousand cubic meters, according to Gazprom's 2016 estimate, prices are already rock bottom, and can't sink much further. In any case, the Poles will have to wait for prices to rise significantly for investors to take the northern pipeline idea seriously. In any case, with the proposed northern pipeline's capacity estimated to run at only 2 billion cubic meters a year, Poland will not be able to eliminate its dependence on Russian gas anyway. "It's difficult," the analyst notes, "to call the proposed substitution of such a small amount of Russian gas with Norwegian supplies a genuine diversification of supply." Ultimately, however Warsaw may like to speak about Gazprom's 'hegemony', "Poland has a direct interest in the preservation of energy cooperation with Moscow, in its objective demands for energy security. In my opinion, the Poles will put their own energy security above any politically motivated shouting," Pasechnik concludes.